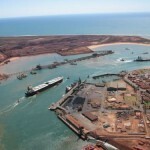 New shipping control centre for Port Hedland (0) July 6, 2016 Pindan Contracting has secured a $70.7 million contract from the State Government to construct a new Integrated Marine Operations Centre (IMOC) at Port Hedland. 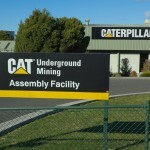 Griffin coal workers’ pay halving halted (0) July 6, 2016 The decision to almost halve Griffin Coal’s maintenance workers’ pay has been put on hold following rallies. Pacific National failed to heed warnings before coal train derailment (0) July 6, 2016 Pacific National has been found to have failed to act upon recommendations from internal investigations of wheel fractures before a coal train derailment in August, 2015. QRC chief Michael Roche to step down (16) July 5, 2016 Queensland Resources Council chief executive Michael Roche will step down from the mining lobby group. 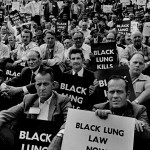 Youngest case of Black Lung confirmed (82) July 5, 2016 A 39 year old former coal miner has been diagnosed as suffering from Black Lung. New Enerpac electric torque wrench (4) July 4, 2016 Enerpac has released the new Electric Torque Wrench to improve bolting efficiency. Research expedition to test technologies for sea floor mineral deposits (1) July 4, 2016 The National Oceanography Centre (NOC) is leading a research cruise to address the challenges of exploring for mineral deposits on the sea floor. Dangerous gas leak on Gorgon (2) July 4, 2016 Workers at the Gorgon LNG project were forced to down tools following a gas leak at the Acid Gas Removal Unit. 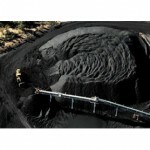 Another one dollar coal mine sold (0) July 4, 2016 The Blair Athol coal mine has been sold to TerraCom subsidiary Orion Mining, with plans to restart mining. Watpac win Mt Magnet contract extension (0) July 1, 2016 Watpac has won a $45 million extension to its existing contract at the Mt Magnet gold mine. 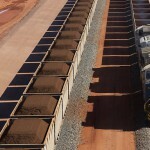 Global iron ore cost curves in focus (0) July 1, 2016 Timetric’s Mining Intelligence Centre (MIC) has released its global iron ore cost estimates, highlighting the costs per tonne of iron ore operations. 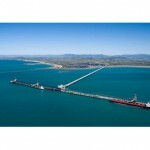 APLNG makes first shipment to Japanese electric company (0) July 1, 2016 Australia Pacific LNG (APLNG)’s first shipment to Japan’s Kansai Electric has been welcomed by Queensland treasurer Curtis Pitt, boosting the state’s $60 million LNG industry. CSIRO’s new drag reduction technology saves water and energy costs (908) July 1, 2016 The CSIRO’s new drag reduction technology for industrial pumps has been adopted by Glencore’s Minara Resources following successful full scale trials. 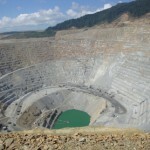 Newmont divests $1.3bn Indonesian mine (1) July 1, 2016 Newmont Mining has entered an agreement to sell its interests in PT Newmont Nusa Tenggara (PTNNT), which operates Indonesia’s Batu Hijau copper and gold mine. Ninth miner diagnosed with Black Lung (0) July 1, 2016 Another miner has been diagnosed with Black Lung. 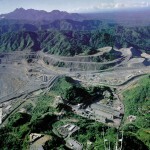 Rio divests shares in Bougainville Copper (2) June 30, 2016 Rio Tinto has given its 53.8 per cent share in Bougainville Copper (BCL) to an independent trustee, to allow Bougainville residents greater input into Panguna’s future. 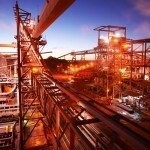 Barminco wins contract renewal at Dugald (1) June 30, 2016 Barminco has won a five-year contract extension at MMG’s Dugald River zinc project worth up to $270 million. Second largest diamond flops at auction (1) June 30, 2016 The world’s second largest diamond – the size of a tennis ball – has failed to sell at Sotheby’s auction in London on Wednesday. NRW win Middlemount contract (13) June 29, 2016 NRW subsidiary Action Drill & Blast has won a contract for services at the Middlemount coal mine. Cloud based data system wins innovation award (0) June 29, 2016 Reflex’s cloud based data platform Reflexhub-IQ received both Most Innovative Collaborative Technology and the Minister’s Award for Excellence in Innovation at this year’s WAITTA INCITE Awards. 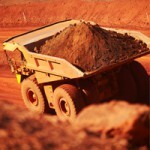 Is iron ore set to fall to $35? (1) June 29, 2016 Despite iron ore’s recent strength, analysts remain negative on the metal, predicting a new floor price of US$35 per tonne. South32 signs indigenous land access agreement (0) June 29, 2016 South32’s Groote Eylandt Mining Company (GEMCO) has secured a land access agreement to mine in the Eastern Leases and begin exploration in the island’s Southern Areas. Atlas Iron managing director resigns (3) June 29, 2016 Atlas Iron’s founding managing director David Flanagan has resigned following the company’s return to financial stability. Iluka announces new CEO (11) June 29, 2016 Tom O’Leary has appointed as the new CEO and managing director of Iluka, replacing outgoing chief David Robb. 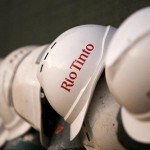 Rio Tinto announces tax payment (0) June 29, 2016 Rio Tinto has unveiled this year’s tax payments, stating it paid US$4.5 billion in tax and royalties globally. 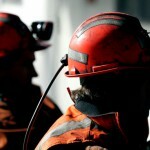 Redundancy pay cap on the cards for coal mine workers (0) June 28, 2016 A nine-year cap could be put on redundancy pay for coal miners if approved by the Fair Work Commission. 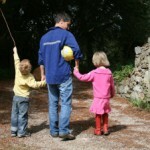 $1m support fund of injured and dead mine worker families closed (2) June 28, 2016 The Australian Workers Union has closed the $1 million support fund to support families of injured and dead mine workers, believing its purpose ‘no longer exists’. 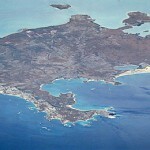 Woodside, Mitsui approved for Greater Enfield oil project (0) June 28, 2016 Woodside and joint venture partner Mitsui have been approved for the development of the Greater Enfield project. New Talisman secures exploration agreement with Newcrest (0) June 28, 2016 New Talisman Gold Mines (NTL) has entered a binding agreement with Newcrest International over the Rahu Project north of the Talisman mine in New Zealand. First ore mined at Nova nickel (5) June 28, 2016 Independence Group has taken a major step forward with first development ore mined at the Nova project. 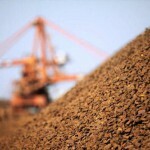 Iron ore rises on the back of Brexit (2) June 28, 2016 Iron ore has gained pace in markets overnight thanks to concerns over the Brexit’s effect on trade. Vehicle rollover injures four on Rio Tinto mine (0) June 27, 2016 Another serious incident has occurred at Rio Tinto’s Greater Paraburdoo mine. New headlamps for increased visibility (10) June 27, 2016 Princeton Tec have released the latest model of their Vizz Series headlamp, the Princeton Tec Vizz II. New cleaning system to reduce spillage from carryback (0) June 27, 2016 Martin has released the Washbox Cleaning System that combines water spray and secondary cleaning blades in a self-contained unit, draining residue safely from work areas. 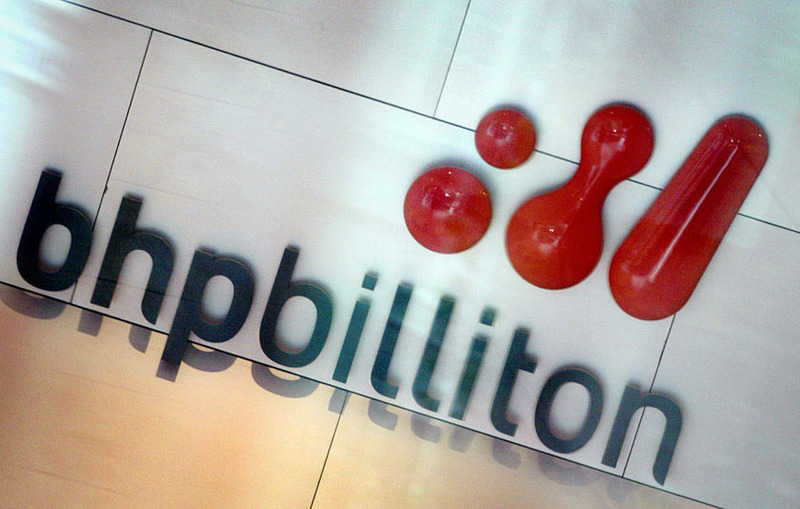 BHP to spend nearly a fifth of budget on exploration (0) June 27, 2016 BHP has announced a renewed focus on exploration, targeting “opportunities across copper and oil”, aiming to spend nearly 20 per cent of its capital budget on exploration. 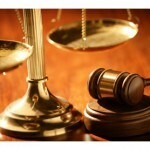 BC Iron, Watpac settle legal dispute over Nullagine (0) June 27, 2016 A $100 million legal dispute has been settled between BC Iron and Watpac after Watpac’s mining contract was terminated at the now mothballed Nullagine joint venture. 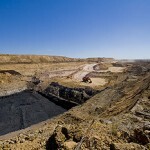 Anglo American’s coal mine sale down to two bidders (0) June 27, 2016 It is believed the sales process for Anglo American’s Grosvenor and Moranbah North coal mines is now down to the last bidders, BMA and AMCI. Abducted Macmahon workers in Nigeria released (3) June 27, 2016 All seven Macmahon workers, including three Australians, kidnapped last week in Nigeria have been released. FMG ratings outlook upgraded (2) June 27, 2016 Moody’s has upgraded Fortescue’s outlook to stable, affirming its rating at Ba3. 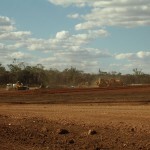 Project approval delays costing Queensland $3.9bn: report (0) June 24, 2016 A new PwC report has highlighted the significant cost delays to major projects has to the Queensland economy. Sandvik unveils new cone crusher (0) June 24, 2016 Sandvik’s new CH540 cone crushers have a low environmental impact and increase production capacity, eliminate bottlenecks, and reduce cost per tonne produced. 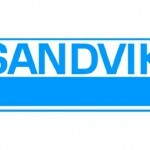 New telescopic chute to be released (0) June 24, 2016 Sandvik’s new WE6000i telescopic chute has been developed to be fed by conveyors with belt widths of less than 800mm. 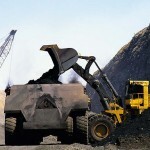 Griffin coal miners to strike (1) June 24, 2016 Miners will carry out 24 hours of strikes today at the Griffin Coal mine after workers’ pay was cut by more than 40 per cent. Historic mines in WA to be revived (1) June 24, 2016 With gold mining in good financial shape, some historic mines in the Kalgoorlie-Laverton-Leonora region in Western Australia are being revived or expanded. Three Australians among seven workers abducted in Nigeria (0) June 24, 2016 Macmahon has confirmed the kidnapping of seven employees, including three Australians, at its operations in Nigeria, with the fatal shooting of a local employee. Mine drug raid comes up empty handed (0) June 24, 2016 The latest, and fourth, phase of Pilbara drug investigation Operation Redwater has hit four mines over four days, and found no drugs. Australian contractors kidnapped in Nigeria (3) June 23, 2016 Two Australians and a New Zealander are among the five workers kidnapped in Nigeria after their vehicle was attacked by an alleged group of militants. 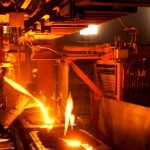 South Australia’s molten salt technology to reduce mineral processing costs (1) June 23, 2016 The University of South Australia and Centrex Metals are developing the use of molten salt technology in mineral processing to minimise energy and water costs. Rio Tinto Hail Creek coal mine fined for denying workers sick leave (6) June 23, 2016 Rio Tinto has been fined $24,000, payable to the CFMEU, after it denied workers access to paid sick leave. 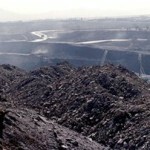 Moly-Cop looks to boost production in Chile (0) June 23, 2016 Arrium’s Moly-Cop grinding media business has lodged an application with Chilean environmental authorities to double capacity at its Mejillones plant. Orica wins blasting patent battle (5) June 23, 2016 Orica has won its long running battle with Dyno Nobel over patented shotfiring techniques. 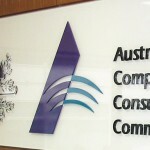 Telstra launches new mining technology division (3) June 23, 2016 Telstra has launched a new mining communications services department. 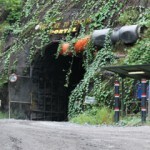 Carbon dioxide from coal mines equivalent to small power plant: study (0) June 23, 2016 A new study has found the amount of carbon dioxide released from 140 coal mines throughout Pennsylvania, USA, is equal to a small power plant. New split-bucket mounting system launched (0) June 23, 2016 Haver & Boecker have released their new Tyler F-Class Split-Bucket Mounting System which provides simplified maintenance and bearings change outs for operators, minimising downtime. 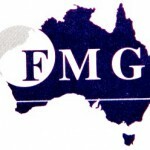 FMG pays down US$500m in debt (0) June 23, 2016 Fortescue Metals Group has continued its focus on reducing debt, paying off US$500 million from its 2019 term loan. 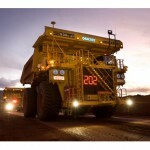 Rio to reduce debt by $US3 billion (0) June 22, 2016 Rio Tinto has released its June tender offers in an effort to reduce its gross debt by another $US3 billion. FMG CFO Stephen Pearce appointed to board (0) June 22, 2016 Fortescue’s chief financial officer Stephen Pearce has been appointed to the company’s board as an executive director. Workers exposed to lead and mercury (0) June 22, 2016 Workers are believed to have been exposed to hazardous chemicals during processing at a now closed mine. NSW budget released, royalty revenue less than expected (1) June 22, 2016 NSW coal royalties have contributed less to the state than the government had expected, dropping by approximately $270 million in this year’s state budget. Petra uncovers large diamond (2) June 22, 2016 Petra Diamonds has uncovered a 121.26 carat diamond. 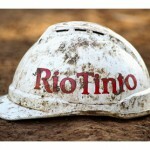 Rio Tinto announces new business organisation (0) June 21, 2016 Rio Tinto has changed its organisational structure, with iron ore head Andrew Harding to leave the business. 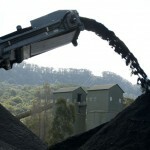 BHP to cut coal costs by $800m (1) June 21, 2016 BHP is aiming to find US$600 million in savings from its coal operations, as it focuses on productivity and finding ‘latent capacity’. Ferrier Hodgson seeks legal action against Forge Group (0) June 21, 2016 Liquidator Ferrier Hodgson is seeking funds to investigate the possibility of taking legal action against former directors of the collapsed Forge Group. 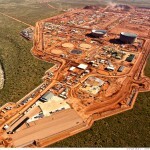 Ammonia leaks investigated at Burrup plant (0) June 21, 2016 Eleven reportable leaks have led to investigations at the Pilbara Fertiliser site in Western Australia, owned by Yara International. 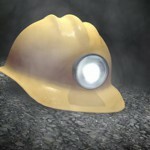 Mining see signs of revival, stifled by government regulations: report (0) June 21, 2016 A new report has found the mining industry is showing signs of revival for the first time in three years, however this could be hampered by government regulations. Killed Rio Tinto worker named (3) June 21, 2016 The shutdown fitter killed earlier this week at the Channar mine has been named as Lee Buzzard. 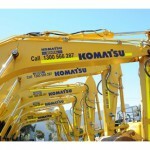 BHP to automate its WA iron blasthole drill fleet (0) June 21, 2016 Atlas Copco is providing BHP 18 autonomous upgrade packages to convert their fleet of Pit Viper 271 rotary blasthole rigs throughout their WA iron ore operations. 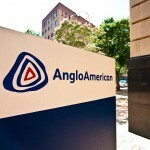 Anglo American to close Drayton coal mine (1) June 21, 2016 Anglo American will close its Drayton coal mine early as it fails to get approvals for its Drayton South project. QLD MP apologises for providing confidential documents to QRC (2) June 20, 2016 Queensland Opposition MP Stephen Bennett has apologised to the State Parliament after providing confidential draft recommendations to the Queensland Resources Council (QRC). 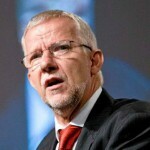 Mines and Metals Association welcomes crackdown on trade union corruption (0) June 20, 2016 The Australian Mines and Metals Association has welcomed the Coalition’s commitment to crackdown on trade union corruption and criminal activities. 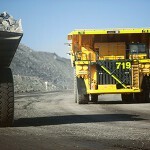 Worker killed at Rio Tinto’s Channar mine (0) June 20, 2016 The first fatality of 2016 has been recorded, after a worker has died in an incident on Rio Tinto’s Channar iron ore mine. 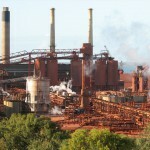 Federal government announces Arrium assistance (0) June 20, 2016 The federal government announced a $49.2 million loan for Arrium’s iron ore mines, which it said would have an “immediate impact” on the iron ore and steel business. Slippery engineering helps solve the challenges of ratholes (0) June 20, 2016 Common and costly bulk material flow challenges include arching of product to inhibit free flow and the clogging condition known as ratholing. NRW wins Rio Tinto contract (5) June 17, 2016 NRW has won a $30 million contract for earth and civil works at Rio Tinto’s Yandicoogina mine. Samarco unlikely to restart by year’s end; 1000 jobs may go (0) June 17, 2016 Brazil’s Samarco iron ore mine is unlikely to resume production by the end of this year following the disastrous tailings dam burst last year. Weir Minerals launches new cone crusher range (0) June 17, 2016 Weir Minerals has released the Trio Top Performance cone crusher range, providing higher reduction with better shaped material. 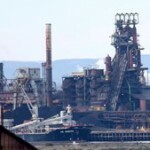 Job cuts confirmed at Hay Point, CFMEU threatens legal action (0) June 17, 2016 The CFMEU may take legal action to prevent up to 20 forced redundancies at BHP’s Hay Point Coal Terminal. World’s top 40 miners [infographic] (1) June 17, 2016 Australian Mining has collected together the top 40 miners globally, showing who is the largest of them all, and which companies are still performing despite the downturn. ALROSA uncovers large rough diamond (4) June 17, 2016 Alrosa has found a 241.21 carat diamond, one of the largest ever found in Russia. 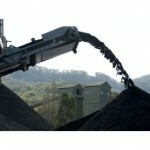 Isaac Plains to begin highwall operations (0) June 16, 2016 Stanmore Coal has announced the commencement of highwall operations at its Isaac Plains coal mine. Doray begins underground development (0) June 16, 2016 Doray Minerals has begun underground development at Deflector, following its first concentrate shipment. 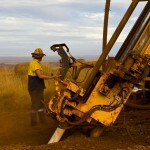 OZ Minerals settles Zinifex class action (0) June 16, 2016 OZ Minerals has reached a $32.5 million settlement over the class action proceedings against it. First female mine safety commissioner appointed in QLD (0) June 16, 2016 Kate du Preez has been appointed as the new commissioner for Mine Safety and Health, becoming the first woman to hold the position Queensland. 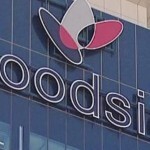 Contractor fined for safety negligence (3) June 16, 2016 Goodline and its director have been fined $10,000 by the WA Building Services Board for negligent conduct. Resource Capital Fund to acquire Ausenco (1) June 15, 2016 Ausenco has entered an agreement with private equity firm Resource Capital Fund (RCF) to acquire the contractor for $153.7 million. 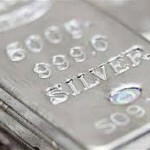 De Beers sells 50pc stake in African coal mine (0) June 15, 2016 De Beers is selling its 50 per cent stake in Botswana’s only coal mine, amid owner Anglo American’s efforts to divest ‘non-core’ assets. New unknown space rock uncovered in Sweden (0) June 15, 2016 A never before encountered rock from a meteorite has been found in Sweden. 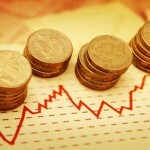 QLD budget released, reforms still sought (0) June 15, 2016 Queensland treasurer Curtis Pitt upheld the government’s commitment not to increase royalties in yesterday’s state budget. Worker’s fingers amputated in truck maintenance accident (8) June 15, 2016 A tyre fitter’s fingers have been partially amputated after an accident while operating a hydraulic bead breaker. First graphene factory opened in Geelong (1214) June 15, 2016 The first graphene factory in the country has been opened in Geelong, which can “consider itself the graphene capital of Australia” according to the company behind it. 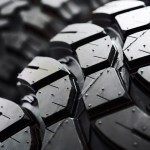 Kal Tire acquires Klinge tyre services (7) June 15, 2016 Kal Tire has acquired Klinge & Co., a tyre service, training, software and consulting company. 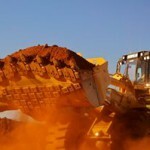 Civil lawsuit dismissed for Samarco disaster: Vale (0) June 15, 2016 Iron ore giant Vale SA said the 20 billion reals (AU$7.8 billion) civil lawsuit claiming damages for the Samarco mine disaster last year has been dismissed. 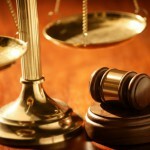 QLD court dismisses worker caustic burn compo appeal (0) June 15, 2016 The Supreme Court of Queensland has dismissed a worker compensation appeal after his claim was reduced when footage emerged of the man performing karate with his damaged foot. Tasmanian mining minister resigns (4) June 15, 2016 Tasmania’s mining minister Adam Brooks has resigned amid allegations of a conflict of interest. 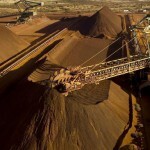 Iron ore falls after steady price (10) June 14, 2016 The price of iron ore has dropped yet again, falling by 0.6 per cent to $US51.80 a tonne, after remaining stable for the last three days. 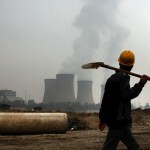 Downturn not finished yet: NAB (5) June 14, 2016 Despite increased positivity in the resources sector, NAB research has forecast the current downturn to continue, with more than 50,000 jobs to be lost. 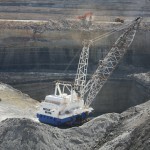 Mitchell wins Glencore exploration contract (5) June 14, 2016 Mitchell Services has won a contract to provide near mine exploration drilling at Clermont’s coal operations. 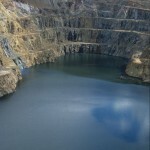 QLD Government boost to abandoned mine safety (0) June 14, 2016 The QLD Government will commit $42 million in the 2016-17 State Budget to manage public safety risks related to abandoned mine sites throughout the state. Pay nearly halved for Griffin coal miners (4) June 14, 2016 A decision supported by the Fair Work Commission to slash Griffin Coal’s Collie miners pay by 43 per cent has been slammed by unions. Ramelius to begin stope production at Vivien (0) June 14, 2016 Ramelius has taken a step forward at its Vivien gold mine, starting stope production this week. New professorial chair appointed at Curtin University (0) June 14, 2016 Professor Anton Kepic has been appointed Boart Longyear professorial chair at Curtin University in WA. Newcrest resumes mining at Kencana (0) June 14, 2016 Newcrest has resumed mining at its Kencana mine following a ‘geotechnical event’ at the site in February. New resources scaffolder safety program launched (0) June 14, 2016 A new training framework has been launched in Western Australia to lift safety levels and cut duplication in scaffolding. Founding chair of AAMEG honoured in Queen’s Birthday list (0) June 14, 2016 Bill Turner, founding chair of the Australian-Africa Minerals Energy Group (AAMEG), was recognised in the Queen’s Birthday Honours list 2016. New longwall shearer designed to combat coal dust (0) June 10, 2016 Longwall shearers have been designed to combat coal dust and battle black lung. 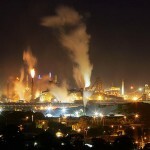 Glencore shuts Bowen coke operations (19) June 10, 2016 Glencore has announced that it will be closing its North Queensland Bowen Coke Works facility over the next few months. FMG subsidiary fined for severe worker injury (3) June 10, 2016 Fortescue Metals subsidiary The Pilbara Infrastructure has been fined for an incident which saw the double amputation of a worker’s legs. 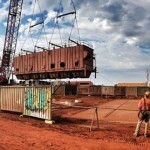 BHP considers new Pilbara mine (0) June 10, 2016 BHP has begun planning for a new operation to potentially replace its aging Yandi iron ore mine. 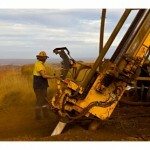 WA juniors receive exploration funding (0) June 10, 2016 The WA Department of Mines and Petroleum has selected nearly 50 companies to receive funding for exploration drilling in the state. 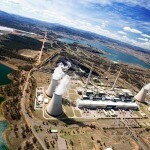 New technology offers hope for storing carbon dioxide underground (0) June 10, 2016 As BHP unveils its new carbon capture and storage technology, other methods of reducing or utilising carbon emissions are being investigated.